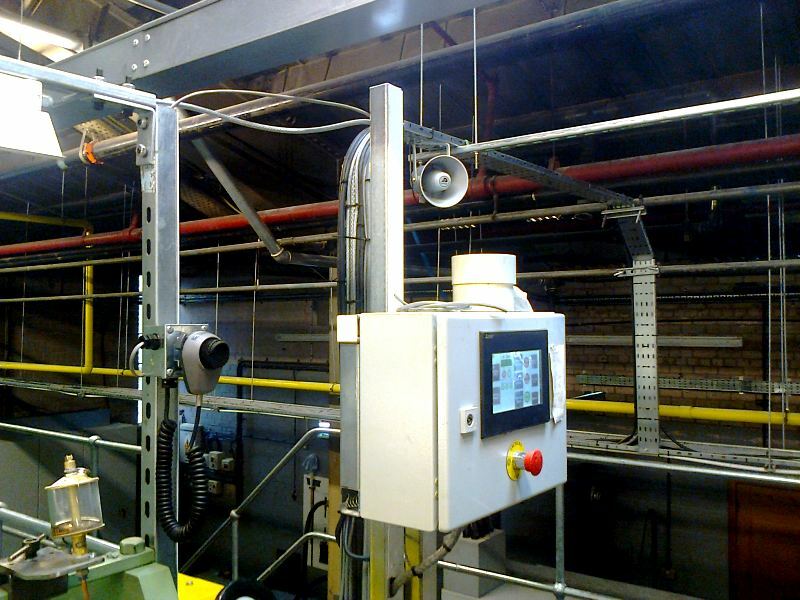 Stanley Security Solutions contacted us to design and commission an intercom system for a new production line at Wardle Storey. Wardle Storey, based in Earby in the UK, is a leading manufacturer of polymer films and coated fabrics. With a focus on surface design and technical product innovation, Wardle Storeys supplies international markets in many sectors. Four call stations were required at each operator position on the 50m long machine. We based the system on a Baldwin Boxall M2120 amplifier with inputs from four Shure 577B noise cancelling fist microphones. Each call station was provided with a loudspeaker cut off relay to isolate the local Penton PH10T loudspeaker when the microphone is in use.